So tiny yet so striking with that metallic green body and red eyes. Great macro. Yuck. I hate bugs. Really well done to catch it like that and A FAV! Awesome! 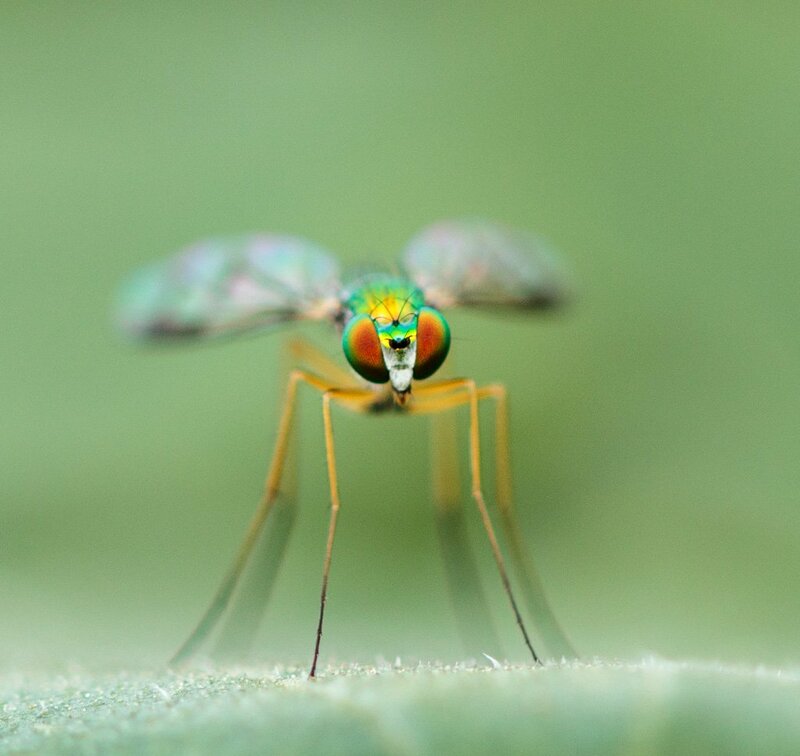 What long legs, and love those colors. Incredible shot. . . great detail. Great close up. Lovely details and colours.